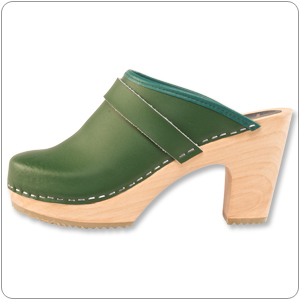 Solid super high heel of three inches, hunter green colored leather upper handmade in Sweden with staple construction. Beautifully designed to go with any outfit for a night on the town or to compliment a casual wardobe of choice. Sophisticated scandinavian footwear design at it's best!